SEASONAL HEALTH CHECK FOR JUST £20 – WITH FREE GIFT!! Our weather and road conditions can be tough on any vehicle, even one designed to survive the harshest of winters. S-Cars Spennymoor has the answer. All fluids including coolant,anti-freeze, brake fluid, screen wash and up to one litre of engine oil are topped up ensuring your car is ready for the difficult winter weather conditions. Being stuck in a traffic jam during a hot summer's day and not having your air con to keep you cool is never a nice situation to find yourself in. Ensure this doesn't happen to you and bring your car in to receive a Summer Health Check which includes the same benefits as above but we'll also include an Air-Con check. Air Con Refresh for £42.00 – This includes the deodorisation of your cars Air conditioning system. Air con service and Refresh £50 – A full re-gas and deodorisation of the cars air conditioning system. Your vehicle has to endure the effects of cold temperatures, the icy and damp starts, as well as salt and grit from the road. The elements combined can put additional strains on your vehicle and its reliability. 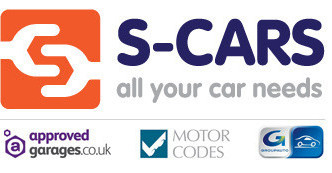 The S-Cars Winter safety check and top up costs just £20. It includes a 30 point visual safety inspection of your vehicle in addition to checking and topping up all the vital fluids and tyre pressures to help reduce the chances of incident and breakdown during the harsh winter months. This will be carried out by one of our trained and trusted technicians – the people who know your vehicle best. Don't leave things to chance. Book your vehicle in for a safety check today. When you come in for a safety check & top up, you will receive a free winter car care pack. Rapidly dissolves frost and ice from windows and locks. The full strength formulation resists refreezing and is safe in contact with paint, plastics, rubber and metal. Keeps windscreens clear in all weather conditions and effectively removes grim, traffic film, insects and oily films for a smoother wiper action and safe smear-free vision. For those freezing mornings to remove, ice, frost and snow. The S-cars winter safety check and top up is a great way to prepare your vehicle for the winter months ahead. But there are other steps you can take to stay safe when driving in severe weather and make your winter journeys less stressful. Leave at least twice the normal distance between your vehicle and the vehicle in front, as breaking distances are greatly increased in wintry conditions. Avoid sudden or abrupt manoeuvres – brake and accelerate slowly and carefully. * When driving up steep gradients drive in a high gear and vice-versa for low gradients. Practice slowing down and stopping by using your gears instead of the brakes of your car. 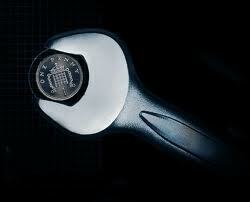 Dropping down gears can be very effective way of stopping your vehicle as opposed to braking and possibly skidding. When driving over ice, if you feel your car is sliding or skidding, depress the pedals and do not brake as this will cause your wheels to lock. Steer gently into the direction you are skidding or sliding and allow the car to come to a gentle stop. Check Your Antifreeze. Antifreeze is one of those things a lot of people overlook during the winter months. It is relatively cheap and if you do not utilise it you are risking doing some serious damage to you vehicle, which can be very costly to repair. Always check that you are using the right type of Antifreeze as there are different types. Our technicians are always happy to give advice – just ask. Weather and Travel Information * Keep a check on your local weather and travel before driving.